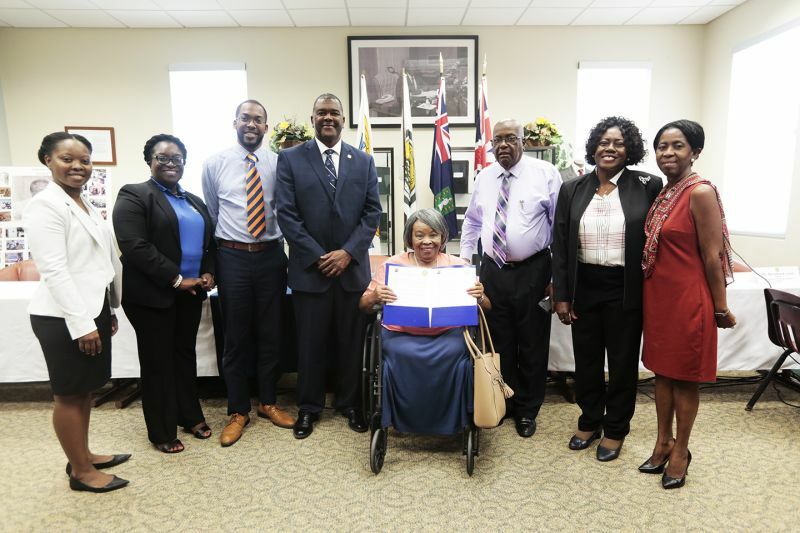 This announcement was made at a signing ceremony yesterday, April 8, 2019, at the HLSCC where its President, Mrs Judith Vanterpool and Board Chairman, Dr Charles H. Wheatley made the agreement with UVI Vice President of Innovation and Development, Dr Haldane Davies and Dean of Students Saint Thomas Campus, Ms Verna J. Rivers. Adding to what already exists, the two entities now provide an opportunity for students to not only attend UVI but to attend about 180 other sister institutions, in relations with the UVI. “So you may take one year off from [UVI] go to school in Canada, or in California or in Mexico and transfer all those credits back. 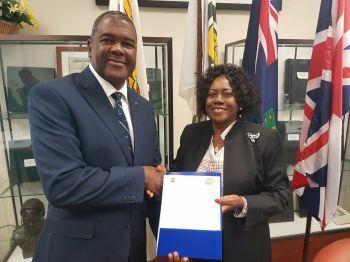 They would be accepted by us and all you will pay is the same tuition that you pay at UVI and you receive that additional experience as a part of your growth and development,” Dr Davies said. According to the Dr, “It is one Caribbean, we must be able to help and assist one another,” he said while noting that the opportunity is opened to anyone residing in the Virgin Islands (VI) even if they were not “born here”. The MoU also makes provisions for HLSCC students to benefit from the UVI’s two plus two and two plus three programmes which allows for students that have studied at HLSCC, to transfer with their credits to the UVI to further their studies. The institution also offers some 52 programmes which are also offered online and across the world. A little late but welcome. Most Caribbean countries already have their own state colleges now. Brexit will change VI students options for education in Europe but keep hope alive and we will survive. So what exactly is new here? Some of these incentives been around since the early 80's. For sure the two/ three program has been around since then, except it was discontinued along the way. We remain grateful to UVI for it's generosity towards international students. It seems like the leadership of the HLSCC is being politicized but this may not be surprising news. It is though regrettable. 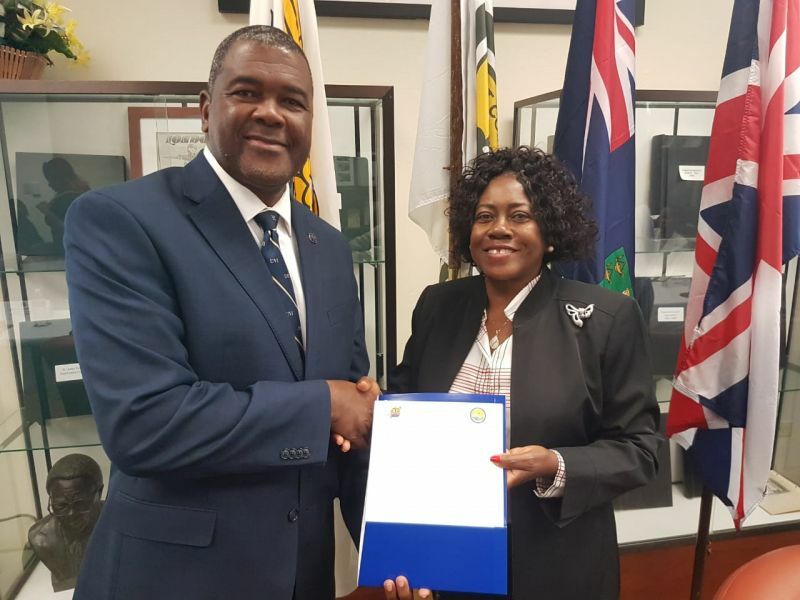 Nonetheless, this memorandum of understanding (MOU) is a win-win for both UVI and HLSCC. It is a great collaborative effort between two regional education institutions that are a stone throw or a short boat ride away from each other. It is a great opportunity for both students and the community.